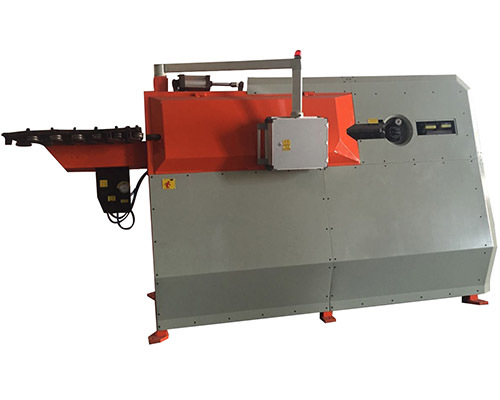 Steel wire bending machine for sale is one kind of bending machine for producing different 2D shapes of steel rebar mainly used into construction site. Any wire bends of 2D at various angles within 180°and radius can be achieved by setting the wire bending program simply. 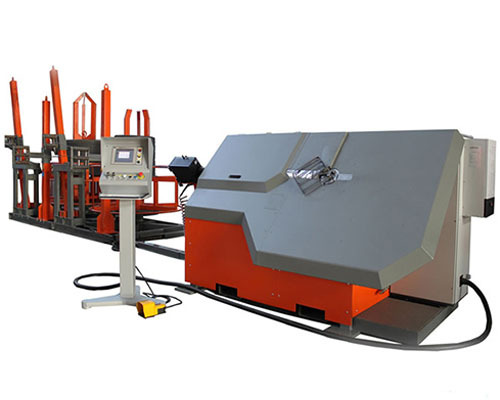 Our Ellsen steel wire bending machinery has three functions to process steel wire. 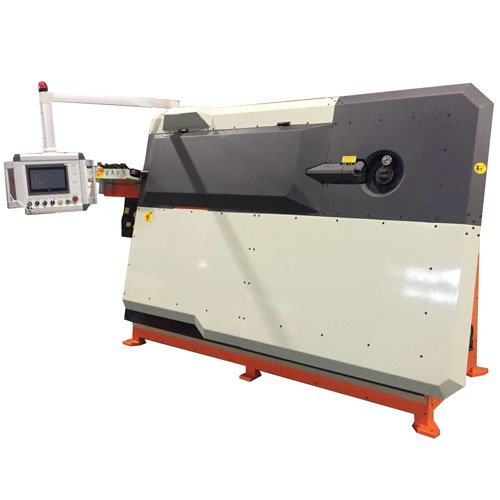 They are straightening function, bending function and cutting function, which give the automatic steel wire bender an integrated design of smart, efficient and energy-saving. When it came into being, the high technology CNC steel wire bender has got many praises from our customers. 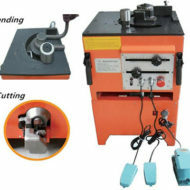 The automatic wire bender machine resembles to most of the rebar bending machines that are made today. It could bend most types of metal bars, which includes steel rebar, and reinforcing bars that may be made of a slightly different materials. In general, wire bender machinery for sale aims to process steel materials into various shapes like pentagrams, quadrilaterals, triangles, polygons and also rings. How does it work? Easily, the metal bar materials are processed by putting them into the metal wire bender machinery‘s feeding inlet first. And then, the driving motor of this hydraulic steel wire bending machine will put the bar materials forward. Next the steel bars will be straightened horizontally and vertically by straightening wheels orderly and separately. Finally, bending programs will put into use. The bending function will bend the straightened rebar into a certain shape we have set before on the numerical control panel. After the bending work completed, different shapes of products will be cut by the cutting function. Furthermore, our discount steel wire bending machine can process bar materials in batch for you. With advantages of saving time and labor power, the wire bender is very suitable for you. 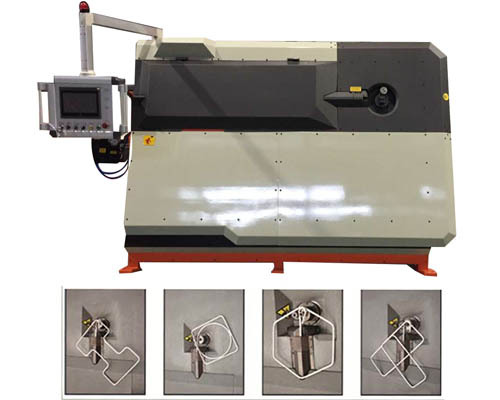 First, our cheap wire bending machinery integrates smart, efficient and energy-saving features. At the same time, it has straightening, bending and cutting functions to finish stirrup works. Second, the steel wire bender for sale has high efficiency and low error, so there are always precise results for people to use. Third, there are multiple smart protective functions, and our hydraulic effective wire bender can be operated and located in long-range. Fourth, people can input a hundred of processing graphics in steel wire bending machines in advance. When the bending machine processing, various graphics can be taken immediately. For many years, Ellsen has developed into one of the most professional steel wire bending machine suppliers in China. We offer you high technology and low price CNC wire bending machine. Welcome to send any CNC wire bender quotation for us.